I still can't believe how fast my 9 months of pregnancy went. Those of you who know me, know how badly I wanted to be a mum. Chad and I had been trying off and on for the past 7 years. It was really frustrating at times, trying to figure out why I could not get pregnant when all of my other friends were able to without any difficulties. I had countless tests, blood work, saw several doctors and tried fertility drugs but still nothing was working. Even the doctors were confused as my body was doing everything it was supposed to. There were many times throughout the 7 years where I kept thinking to myself, "Maybe I'm not meant to be a mum?" I would often ask myself, "what other plans did god have for me?" I had been around so many babies throughout my life. 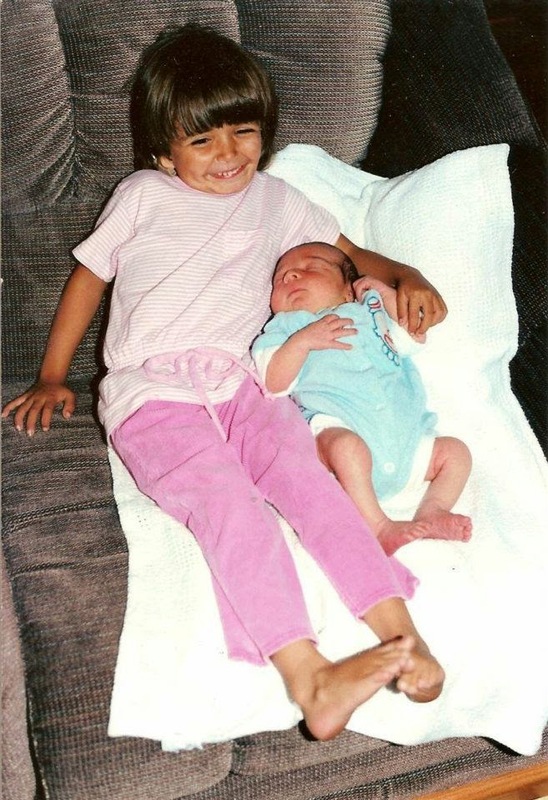 When I was 5 years old I held my nephew Jarvist when he was just a few hours old. I instantly loved looking after him and helping him with what I could at that age. When I was 9 years old I started babysitting him and then as soon as I was 13 I started babysitting all of the kids around the neighborhood after obtaining my babysitting certificate and first aid. I absolutely loved it. I looked after babies and children of all ages. Even though I was being paid, it was a lot of fun and sometimes challenging. So when it came time for me to think of having a family, I just couldn't understand why it was so difficult for me. Even though I was happy to have friends and family being able to get pregnant, I often felt jealous and upset. I would put a smile on my face while at the event, but as soon as I got home I would feel sad that it wasn't my baby shower. Over the years as I got older, I was starting to panic because I wanted to be a young mum so that I could still keep up with my own child when he/she was a toddler since I knew how much energy it takes to keep up. While we were going through the tests and fertility treatments, this was a great opportunity for Chad and I to get to know each other as a married couple, travel, and enjoy each other's company. I also reunited with my birth family during this time. I remember telling my brother how many times I wanted to be a mum, and he often said that I would be a great mum and a natural. We always talked about life, our dreams and what we wanted to do. Sadly, on August 30, 2013 my youngest brother Justin was taken away from us and then not even two weeks later my sister Krisandra was taken away from us on Sept 12, 2013. Both of my siblings knew that I wanted to be a mum and have a baby, I didn't care if I would have a boy or a girl. I just wanted to have a baby of my own to love, protect and support. I had been going through so much over the last month, trying to come to terms as to why my siblings were taken away at such a young age. It wasn't fair to anyone in the family or to their friends. I couldn't eat, I wasn't sleeping, I was losing weight, I was sad all the time and sometimes angry. It was a lot to take in. I had missed my cycle, which was not unusal for me as my menstraul cycles were always messed up especially when I was stressed out. In October, I had restless legs which I had never had before, lots of headaches, and always tired and hungry. I remember Chad googling all the time trying to figure out why I was experiencing this as it was totally random and nothing I had ever been through before. He kept saying that I must be pregnant because some of the symptoms I had were very similiar to pregnancy. I brushed him off saying that it wasn't possible. As the month of October went on, I was still experiencing the same symptoms. I was starting to take several naps a day and eating everything I could find. Those that know me know that I don't normally eat very much. Chad went out and bought a pregnancy test. When he came home I took the test. I saw the two lines, but it didn't even phase me. I got into the bath and carried on with my day. When I was getting out of the bath, Chad asked me about the test and I said he could look at it. So he did. He said it was showing positive, but I brushed it off and said it must be broken. So he went out again and bought several more pregnancy tests. I took the pregnancy test, and this time it was a clear blue so I knew it would show either a positive or a negative. When the result came back it said positive 3+. I stared at it for a long time...I didn't know if that meant 3+ weeks or months? I didn't feel pregnant, I wasn't showing, and aside from being tired I felt fine. I didn't jump up and down right away like I'm sure most women do. I think I was more in shock? I told Chad, and he was immediately happy. I was too but I just couldn't believe it. I said over and over that I couldn't believe it. 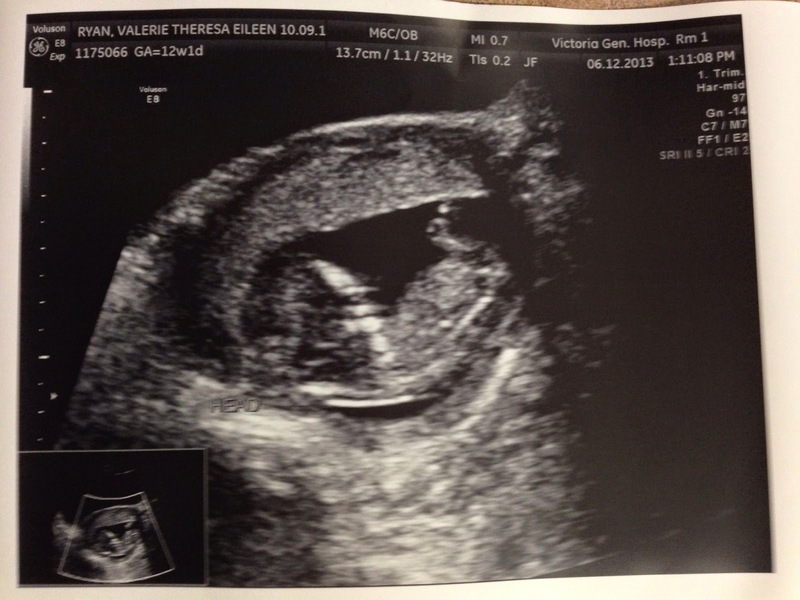 A few days later, I went to the doctors just to confirm that I was pregnant. I did a urine test and a blood test. Both came up positive. It took awhile for it to sink in, don't get me wrong I was very excited for us to be parents but I guess after trying for so many years and even the doctors confused I was thinking maybe it just wasn't meant to be. We decided to tell everyone right away even though I knew there was a risk of miscarriage. Honestly, I figured if I was pregnant then it was definitely meant to be and there was no point in waiting to tell, and besides I am horrible at keeping secrets! By the time I had my 12 week ultrasound and seeing the baby and heartbeat on the screen, that is when I knew that I was definitely pregnant, and that I was definitely ready to be a mum!